Esteemed physician social media leader Bryan Vartabedian argues that all doctors are public physicians. It’s really not a choice. So what’s the best way to establish that public presence? Create content online using social media, of course. Two of the best ways is to write articles on blogs and create videos on YouTube. These pieces of social media will contribute to your digital footprint, and likely will be found if patients Google you. If the content resonates, it may even attract the attention of mainstream media, which is like putting gas on the spark of a digital presence. 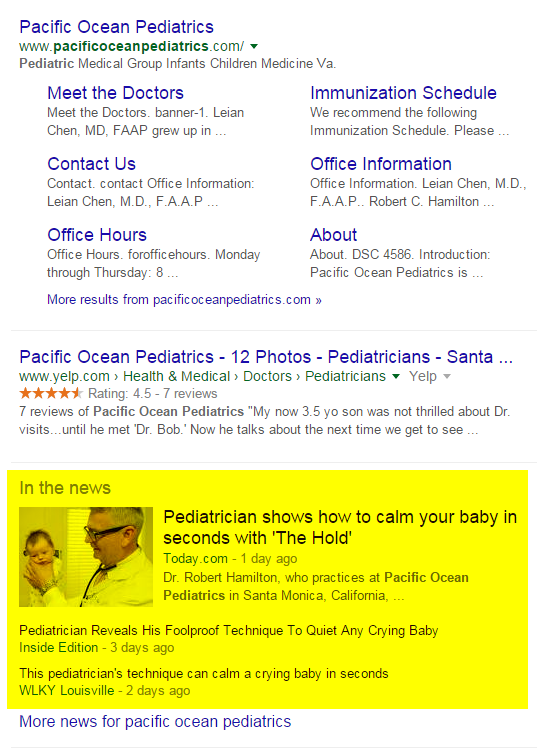 Nowhere is this a better example than the viral video of pediatrician Dr. Robert Hamilton. 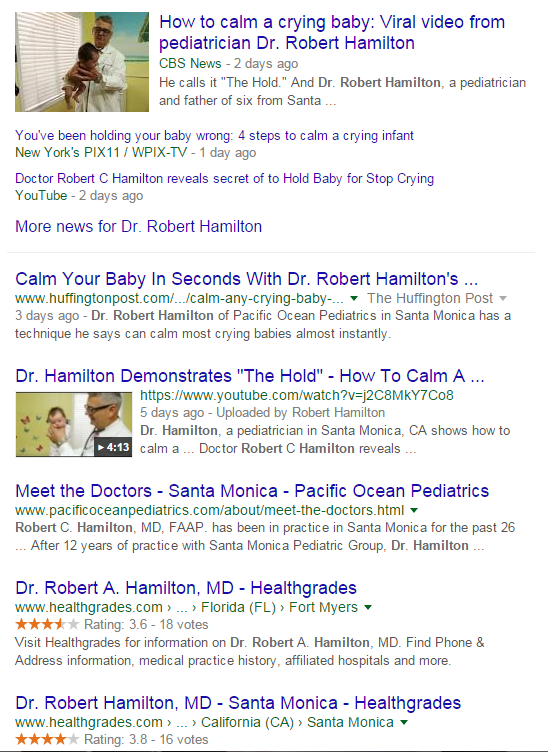 On November 29, he posted a YouTube video: Dr. Hamilton Demonstrates “The Hold” — How To Calm A Crying Baby. It was well-produced, educational piece that not only answered an urgent question many young parents have, it portrayed Dr. Hamilton as a caring doctor that you would gladly send your kids to. The video earned great reviews: over 30,000 likes to 300 dislikes. And as of today, six days later, it has exceeded 9 million views. That’s astounding. His video has also been picked up by mainstream media outlets like CBS News, Today, and big name blogs like the Huffington Post. While this is obviously a jackpot scenario, the principle remains: Creating content on social media remains the best way for physicians to establish a powerful online presence.